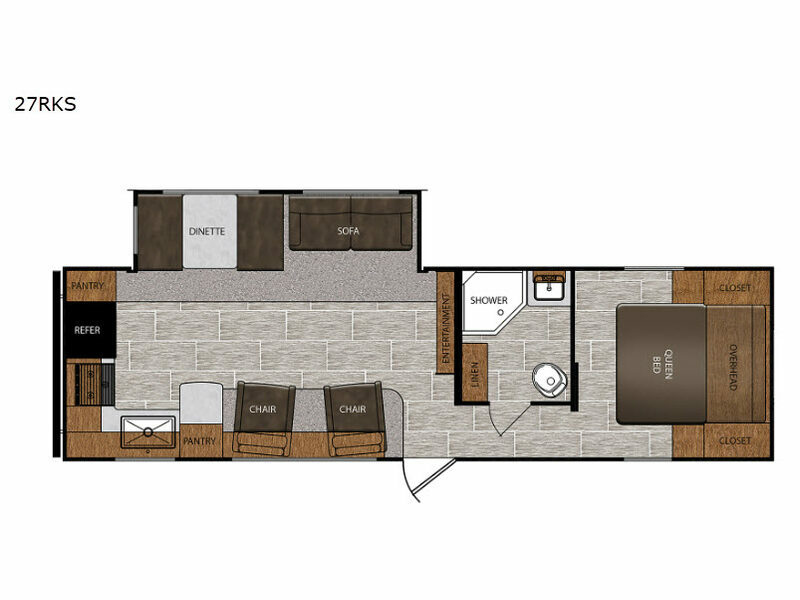 If you are a couple or growing family that enjoys the great outdoors with comforts and conveniences of home, it's time to take a look at this Avenger ATI travel trailer as your family's next RV. Imagine yourself watching the 50" LED TV from one of the two lounge chairs in the evening or cooking your favorite meal on the three-burner range top in the rear kitchen with dual pantries for plenty of storage. If you need privacy, slide the bedroom door closed while relaxing on the queen-size bed after grabbing some lounge clothes from the bedroom wardrobes.